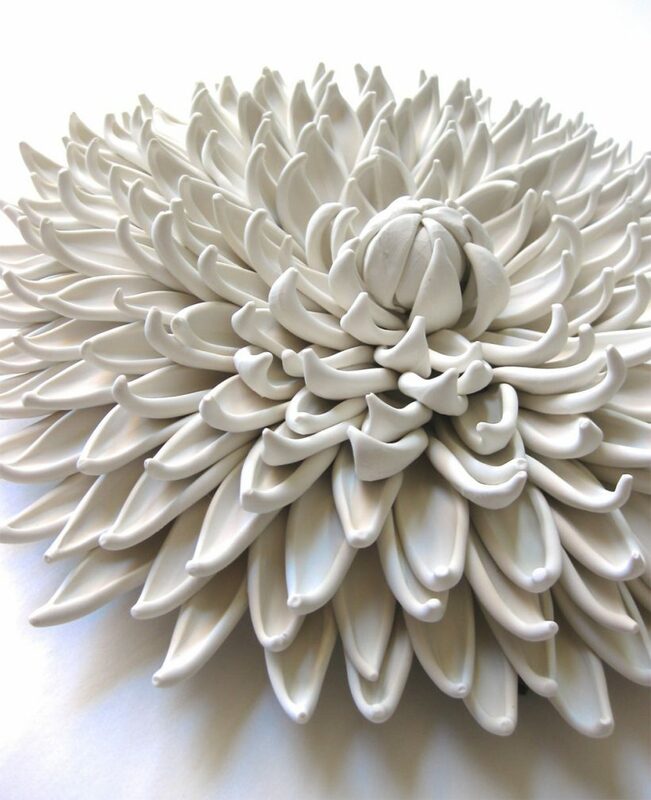 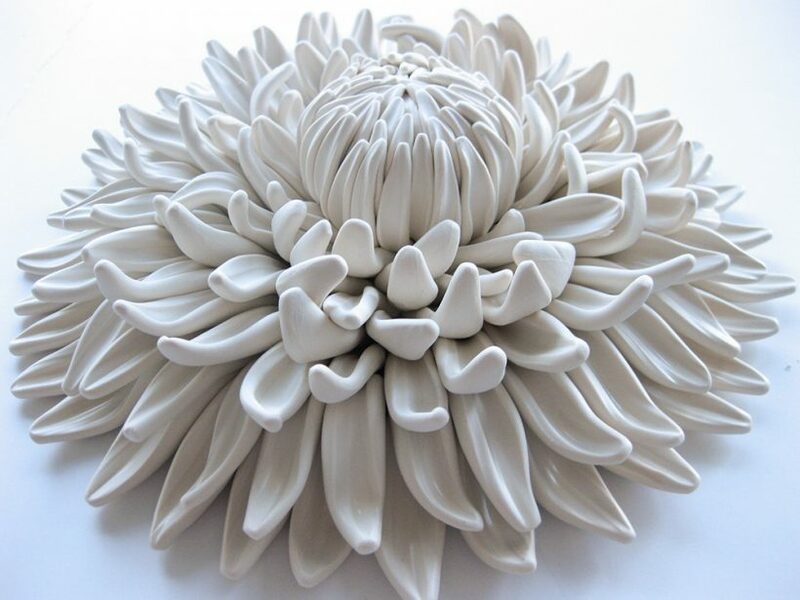 Angela Schwer, a California-based artist, handcrafts decorative objects with polymer clays in her living room that mimic sea creatures and flower sculptures like blooming dahlias, gardenias, poppies and so on. 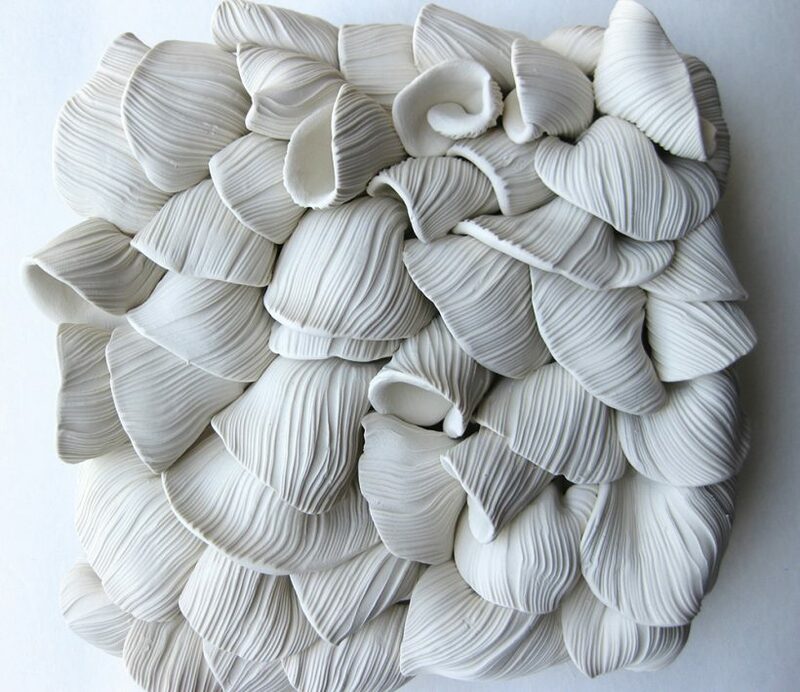 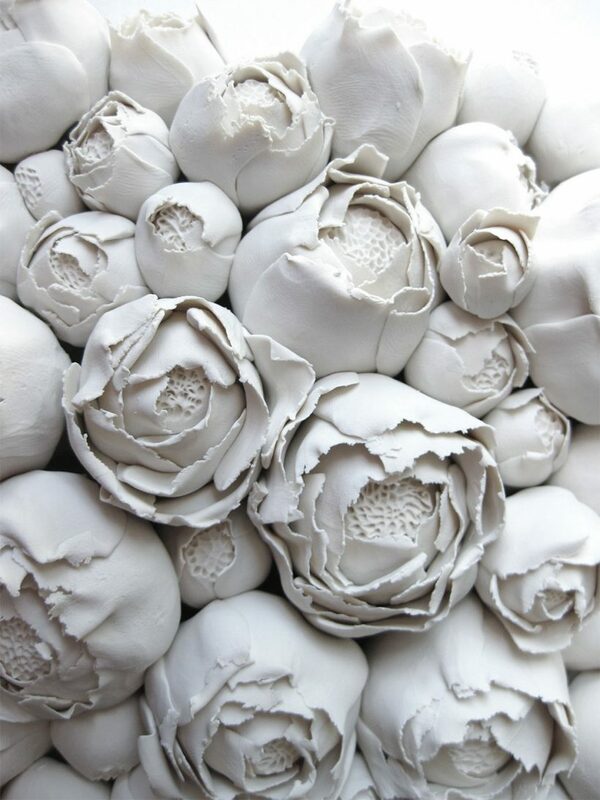 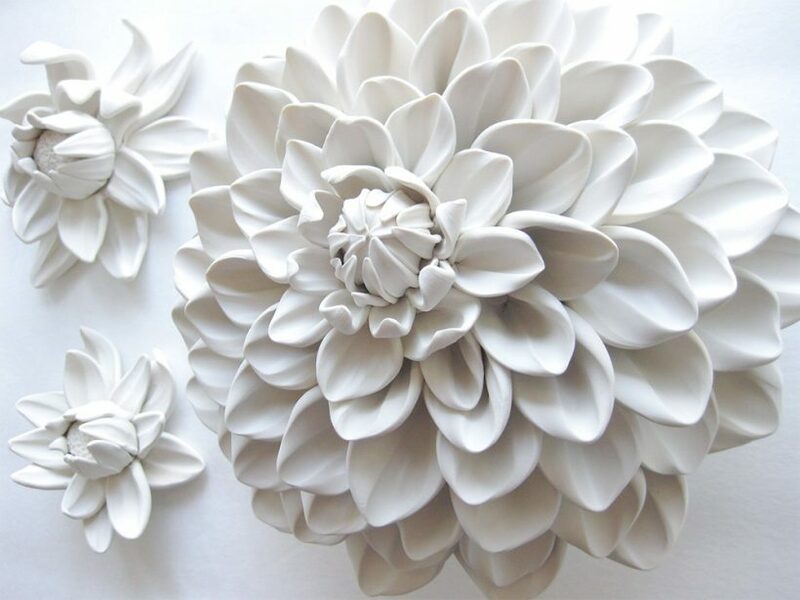 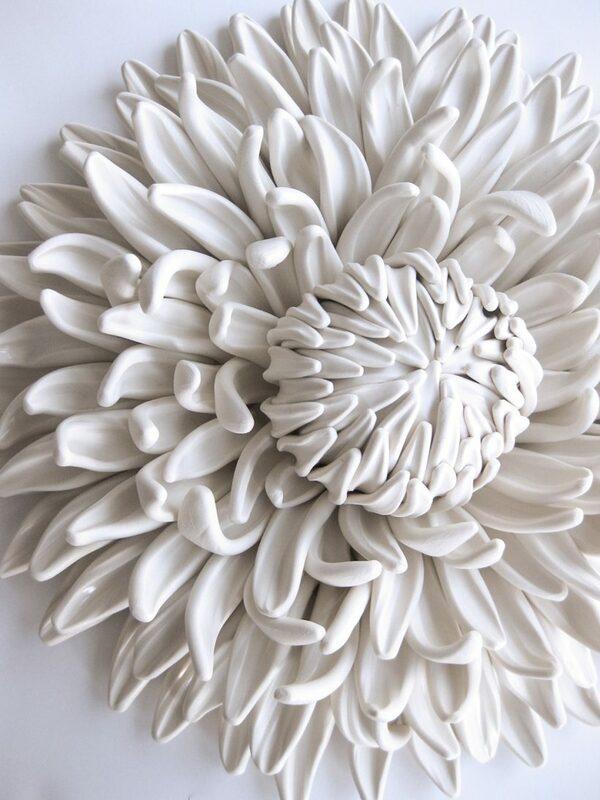 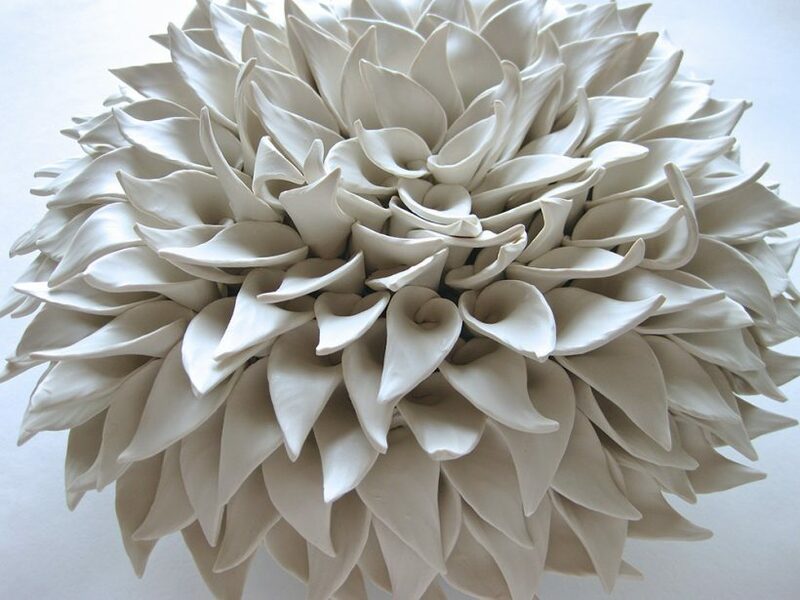 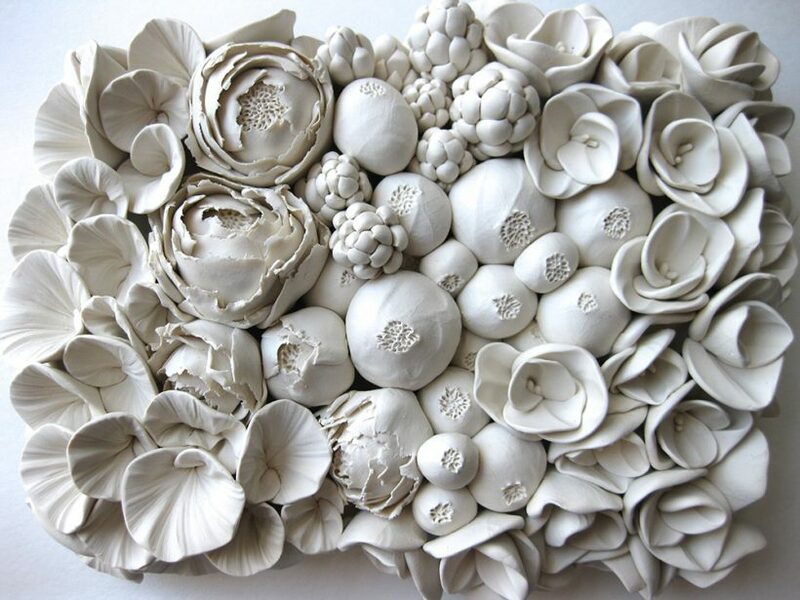 Angela Schwer delicately arranges the hundreds of clay pieces to form intricate sculptures. 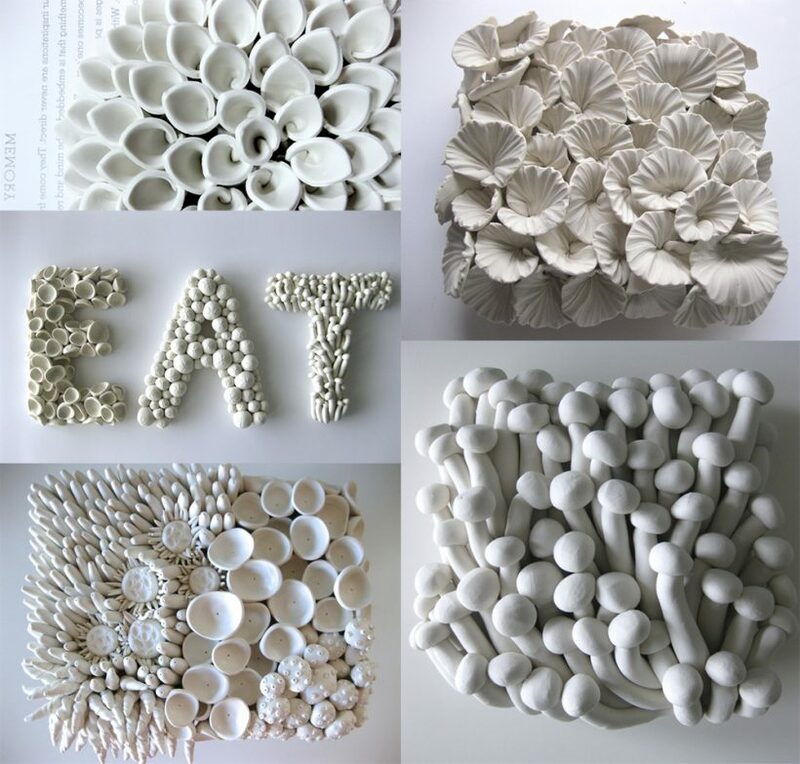 More pieces are available in her E-shop.